What is Сhameleon Window Manager? 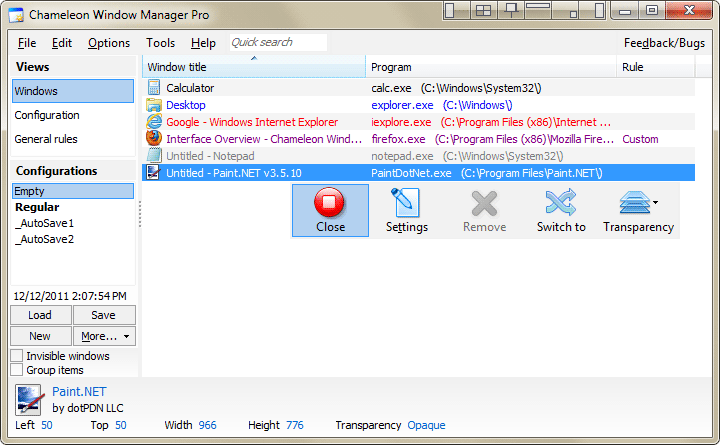 Chameleon Window Manager is window manager software that allows you to customize the behavior of all windows and add buttons with additional functions to the title bars. 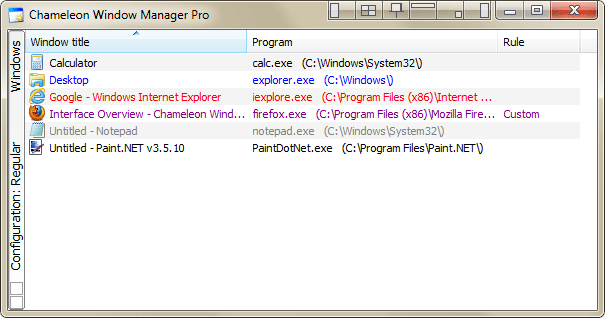 Why use Chameleon Window Manager? 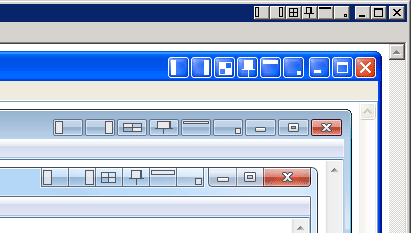 Additional buttons on window title bars. You can add buttons to windows in the following two modes: include in all windows with the possibility to disable them where required and add them only to specified windows. It is also possible to customize the buttons and the order in which they should be displayed. 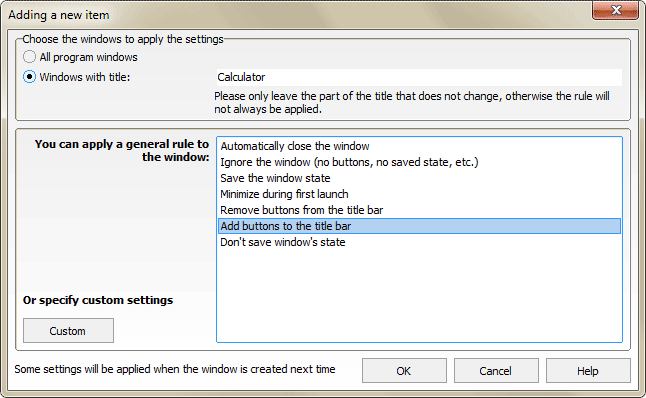 Customizing the behavior of all windows. With Chameleon Window Manager you can automatically close unnecessary windows, specify the window size and position, move windows to a specific monitor, set transparency, minimize them to the taskbar and much more. There are several ways to achieve this aim: select a predefined layout (customizable rules that define the window size and position); move the window to the edge or corner of the screen to position it in the corresponding part of the screen; "draw" the window position by selecting the window on the grid; or create a separate rule for automatic repositioning and resizing. 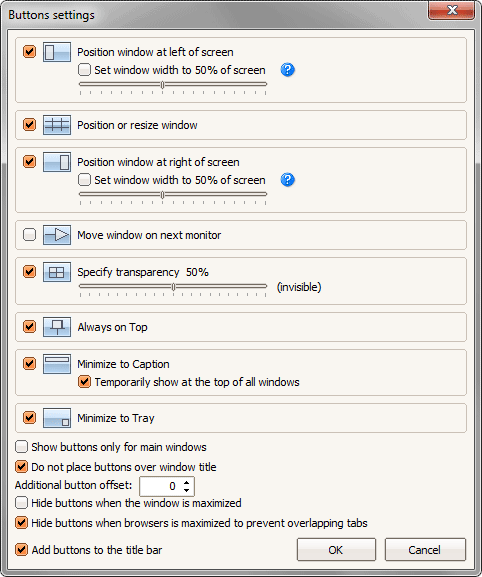 Chameleon Window Manager is able to save the window size, position, transparency, and 'minimized' or 'Always On Top' states. It is then possible to restore their states when they are opened again. To make it easier to customize the behavior of separate windows you can create general rules and apply them with one click. In addition, several configurations can be created and the settings changed for all windows in one go. How to use Chameleon Window Manager? You can look through a quick guide of how to use the program.